Logan’s and Mike’s romantic garden wedding was teeming with beautiful white blooms accented by just a hint of greenery. 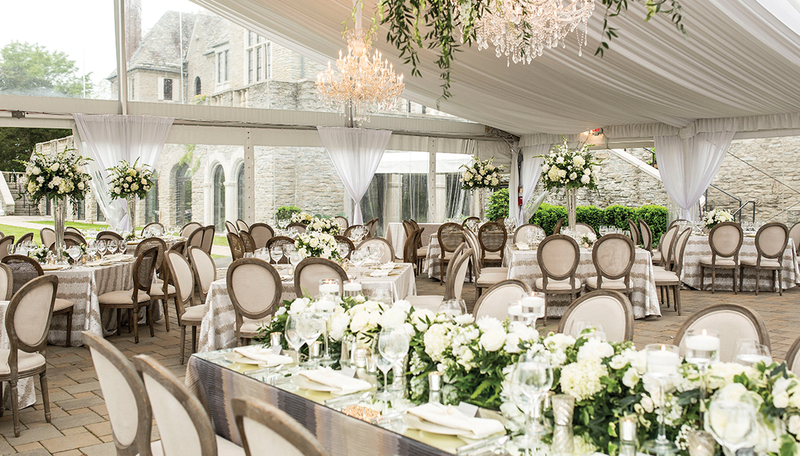 Their creative use of neutrals kept the theme sophisticated and was the perfect springtime color scheme. Holiday Happening: The couple met at Santacon, a Christmas-themed bar crawl. Despite their silly holiday getup, the two felt it was love at first sight. They wasted no time arranging their first date. Finding the One: Logan walked down the aisle in her dream dress. 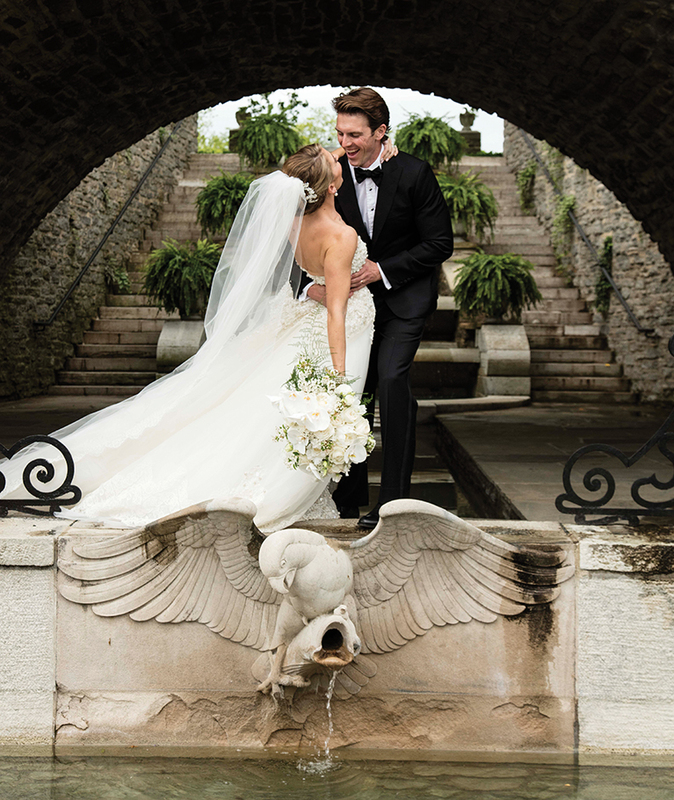 The detail on her gown was breathtaking, and a simple tulle veil was the perfect finishing touch. Photography: Annette Navarro Venue: Greenacres Arts Center Wedding Planner: Viva Bella Events Flowers: Robin Wood Flowers Cake: A Spoon Fulla Sugar Gown: Zuhair Murad, Dimitra’s Bridal Couture Invitations: Laurie Heenan Bride’s Hair and Makeup: Mitchell’s Salon & Day Spa Catering: Jeff Thomas Catering & Events Welcome Boxes: Loon + Co.